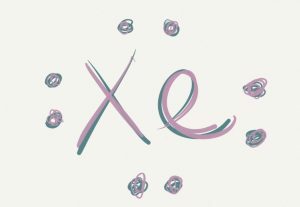 Xenon (pronunciation: ZEE-non) is a colorless, odorless, highly unreactive element classified as a noble gas and represented by the chemical symbol Xe [1, 2]. It is denser and heavier than most of the other noble gases and can be synthesized into xenon hexafluoroplatinate, the first noble gas compound . Despite being inert, it can be used to produce other compounds like xenon tetrafluoride (XeF4), xenon difluoride (XeF2), xenon hexafluoride (XeF6), xenon trioxide (XeO3), perxenate (H4XeO6), xenon dichloride (XeCl2), and xenon hydrate . 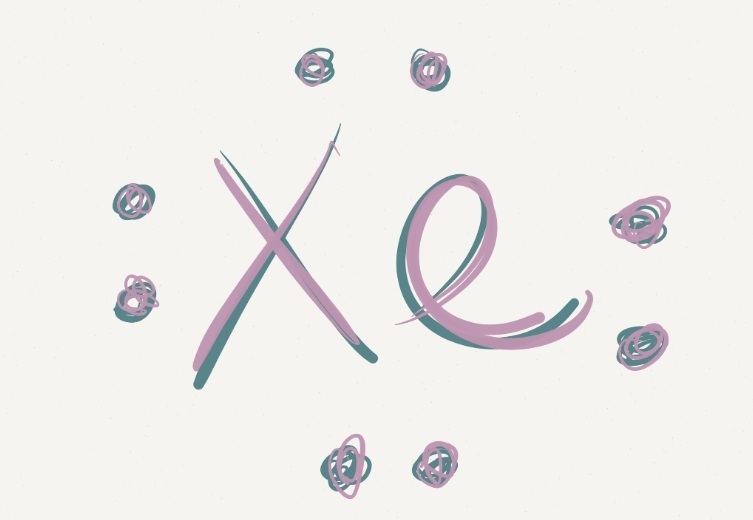 Xenon is characterized by nine naturally occurring isotopes, out of which eight (124Xe, 126Xe, 128Xe, 129Xe, 130Xe, 131Xe, 132Xe, and 134Xe) are stable and 136Xe with a half-life period greater than 2.165 X 1021 years [5, 6]. In addition to the stable forms, more than 30 unstable isotopes have been studied . It is found in the Earth’s atmosphere in trace amounts, at about 0.086 parts in one million by volume . Down on the surface, it can be obtained from some mineral springs that emit gases [1, 4]. It can be commercially extracted from liquid air, which is ordinary air liquefied by compression when cooled to extremely low temperatures . Origin of its Name: The element’s name is derived from ‘xenos’, the Greek word for stranger . Who discovered it: The Scottish chemist, Sir William Ramsay, along with the English chemist, Morris William Travers discovered xenon . In July 1898, Morris Travers and William Ramsay while working on liquid air at the University College London, discovered xenon . Since they had already isolated other noble gases from the liquid air, they thought that it would contain other gases . A wealthy entrepreneur gave Travers and Ramsay a liquid-air machine, which they used to extract more krypton . By distilling it several times, they isolated a heavier inert gas that produced a blue glow after it was carefully analyzed in a vacuum tube . 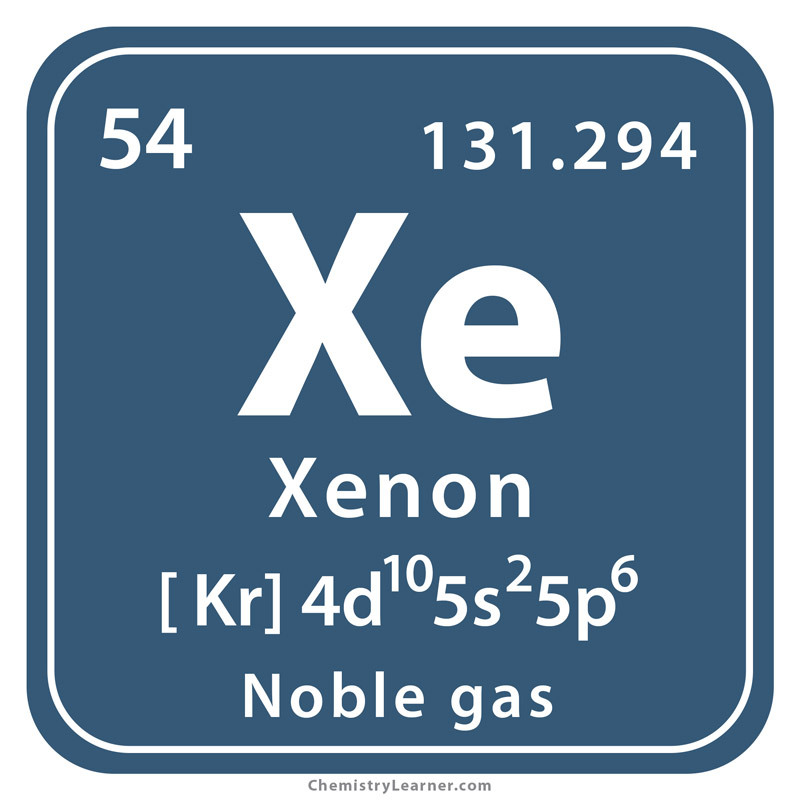 They understood that it was a new member of the noble gases and named it xenon. In 1962, Neil Bartlett used it to produce a fluorine derivative, indicating that xenon was not chemically unreactive . 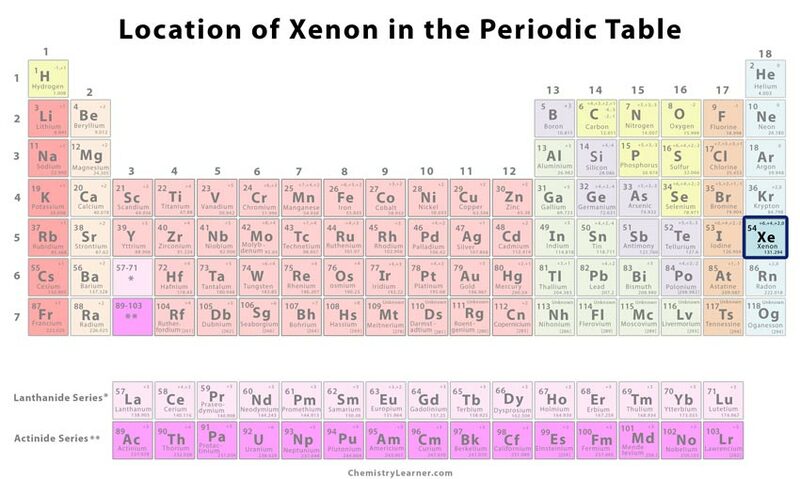 Today, more than 100 compounds of xenon have been produced . 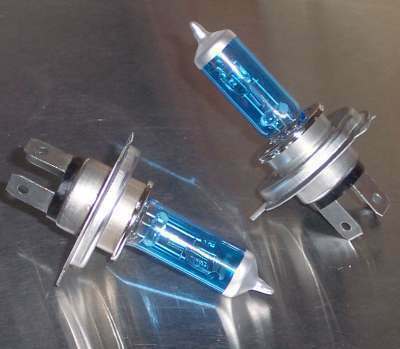 Since it produces a blue glow when electrically excited, xenon is used in specialized light sources such as high-speed photographic flash bulbs, bactericidal lamps for food preparation and processing, and sunbed lamps . Xenon lamps are commonly used in solid-state ruby lasers . High-intensity discharge (HID) xenon lights, used as headlights in cars and bikes, are more stable, economically friendly, and brighter than normal halogen light bulbs . 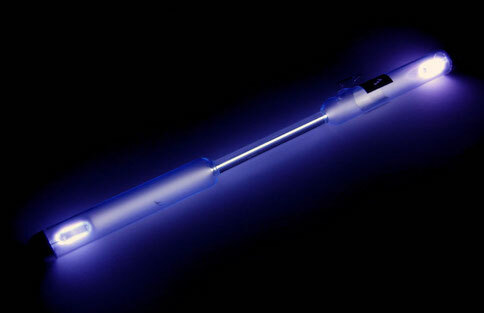 High-pressure xenon arc lamps are used for producing ultraviolet light and motion picture projection . Xenon difluoride is used as silicon etchant in microprocessors . Modern ion propulsion systems in spacecraft use inert gases, specifically xenon because it reduces the risks of explosions linked with chemical propulsion [1, 8]. Instruments like bubble chambers, and X-ray and neutron counters use xenon for radiation detection . It is used in the production of 5-fluorouracil, a medication used for reducing cancer, as well as manufacturing other drugs that help treat other health conditions . 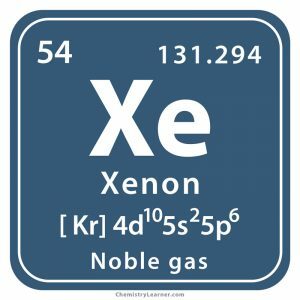 Although xenon is not a toxic element and has no biological role, its compounds are considered to be highly toxic because of their strong oxidizing nature [1, 8]. Two of its compounds, xenon trioxide and xenon tetroxide are highly explosive . Addition of xenon atoms to liquid helium helps in observing quantum tornadoes, which are vortexes controlled by quantum numbers . An important radioisotope of iodine – 131I undergoes radioactive disintegration to form stable xenon . Xenon is graphically represented by an icon of an ‘electro-flash’ that indicates its use in photographic flash technology . 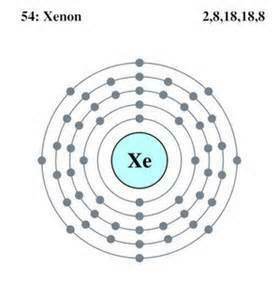 The price of pure xenon is about $1.2 per gram .